PACC makes with its 5-star base an office chair out of the Plastic Armchair. The Side Chair PSCC is a version of the Eames Plastic Chairs, which already has been produced in the 1948 by Charles and Ray Eames and which was the first industrial-produced chair ever. 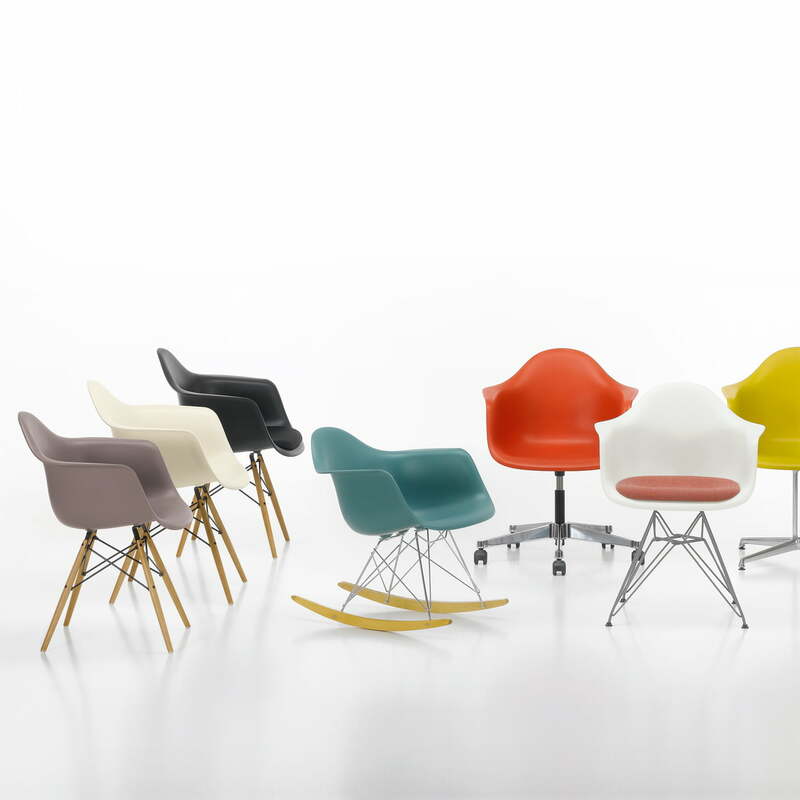 The organic shaped seat shell of the Plastic Armchair has been combined with different bases since the 50s. 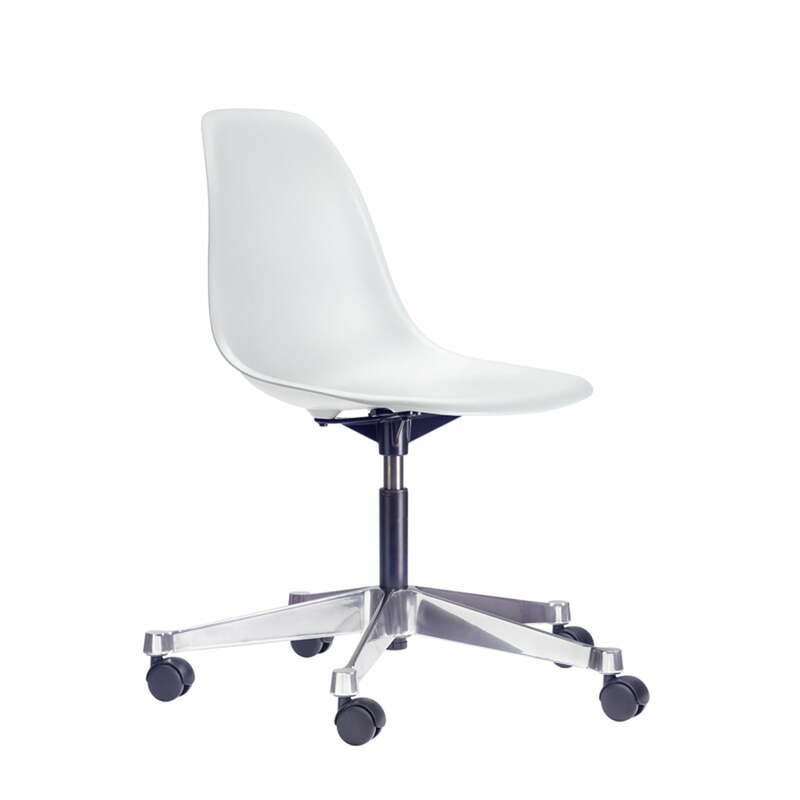 PSCC (Pivot Sidechair Cast Base on Castors) is the office chair of the series. Because of the development in technique and materials it is now possible to produce the seat shell, just like the original, out of ecological, recyclable polypropylene zu fertigen. Through that the seating comfort got a lot better. 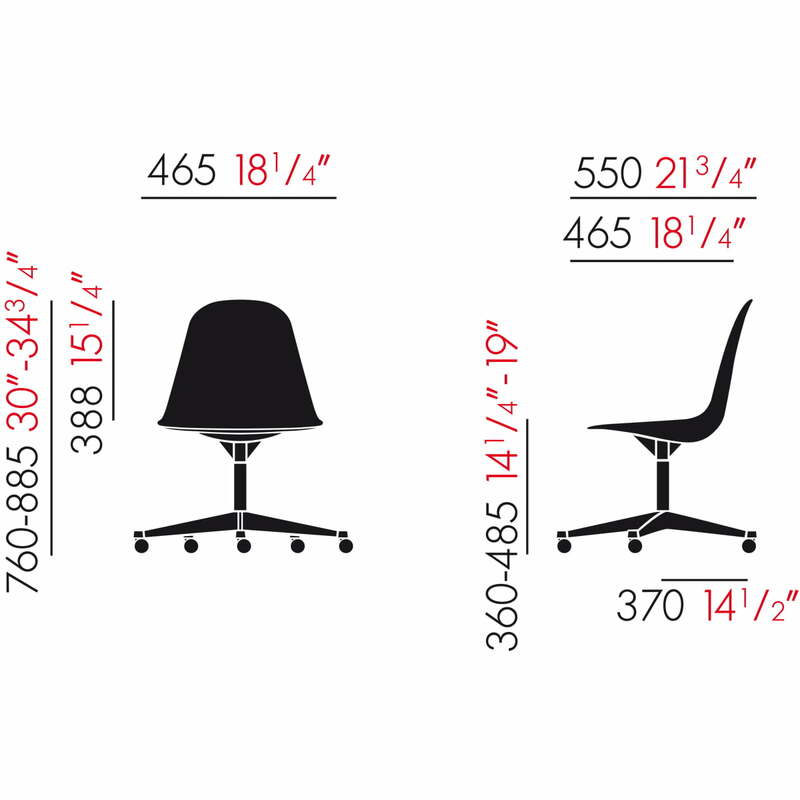 To not deflect of the formal, expressive, organic shaped shell shape, Vitra decided for a new height adjustment, which is discretely mounted under the seat shell. 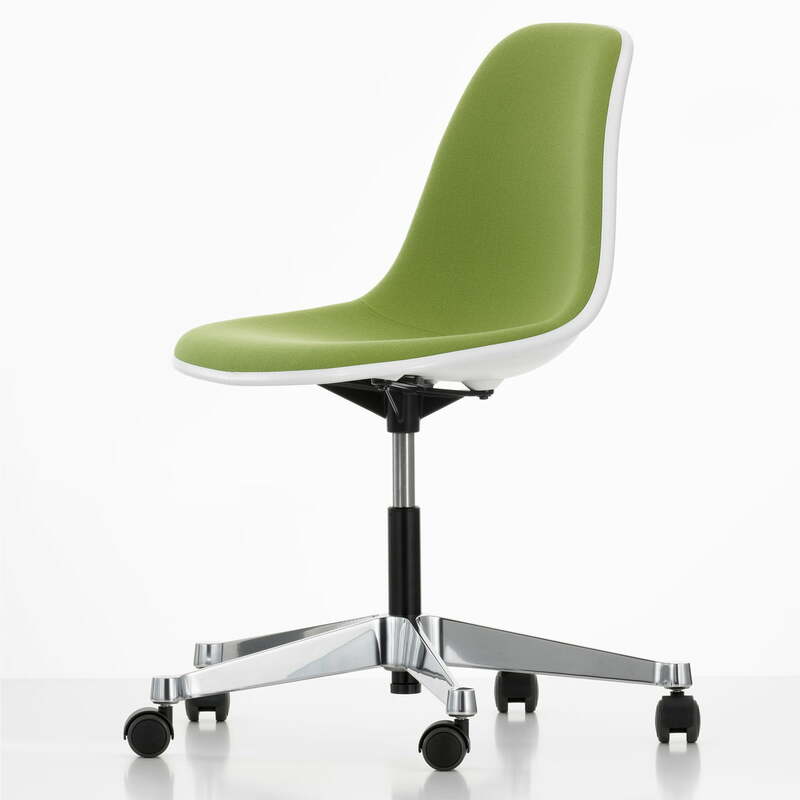 To adjust the height, you have to push the activating slide in the direction of the chair leg. You can either push on the left or the right side. 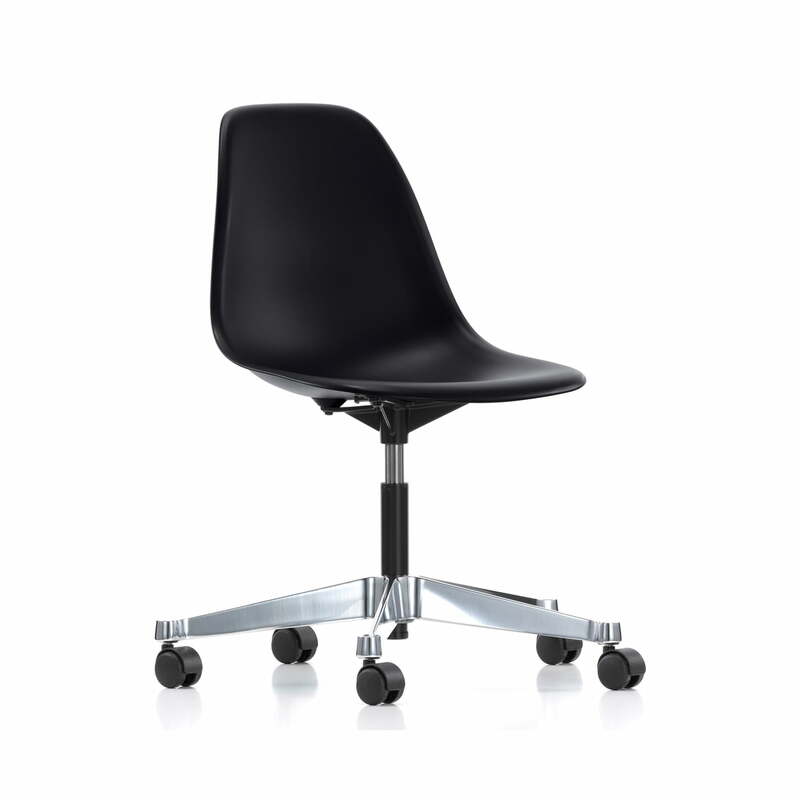 Through disburding or loading of the seat shell you can change the chair's height. 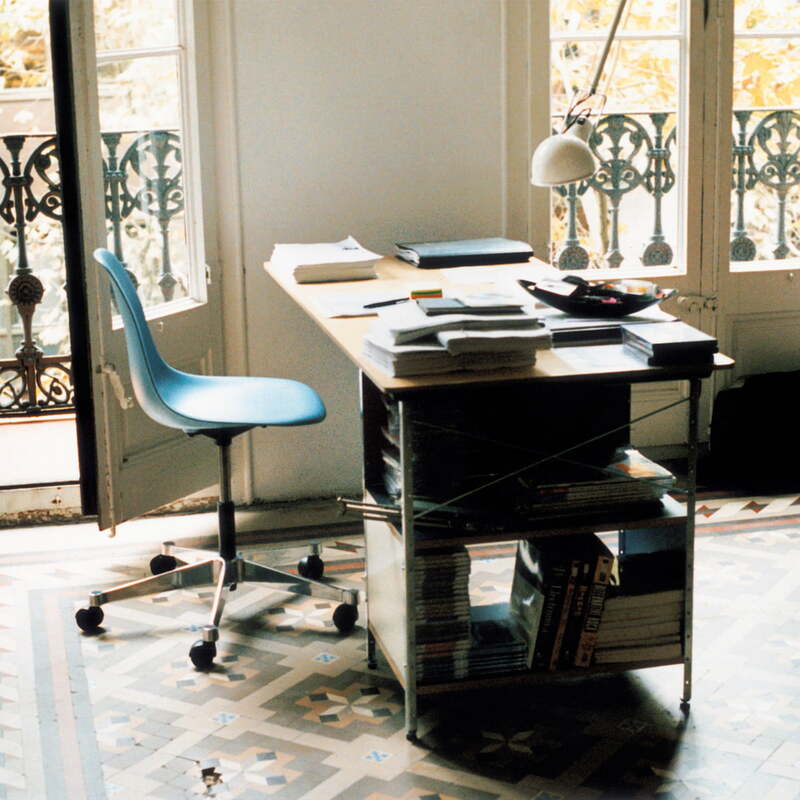 You can tell if the chair is adjusted correctly, when the upper- and lower blade create an angle of 90° and when their feet stand flat on the floor. The PSCC is also available in the colours black, red, ocean, mauve grey, creme, stone white and mustard.